Car #1 is an 81 that was repaired from a front end collision, but never finished. Body work and panels have been replaced and the car has sat ever since never being fully completed. It is a March 1981 car with 0879 VIN. The odometer is showing 1,175 miles. The car is a black interior, 5psd car. Engine is free, but has not been ran for over 20years. Most parts bought were from DMC. It does not have the correct hood and the pass. fender was replaced with one having an antenna hole stamped into it. Overall the car does not have any major rust, due to it sitting in a building the majority of it's life. 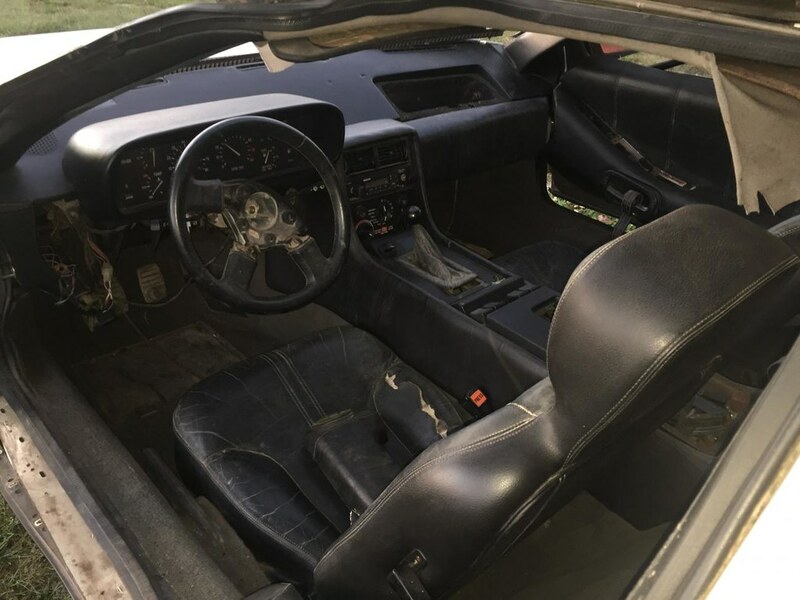 The interior will need attention from sitting so long and the car does not have a windshield. Car #2 is an 82 model that was in a rollover accident. It is a 1982 car with a 10903 VIN. It is a grey interior, automatic car. It has a single turbo charger system installed with intercooler and water/alcohol injection kit. I believe it is a H.L. Ward kit as it also has some of their other accessories they advertised. 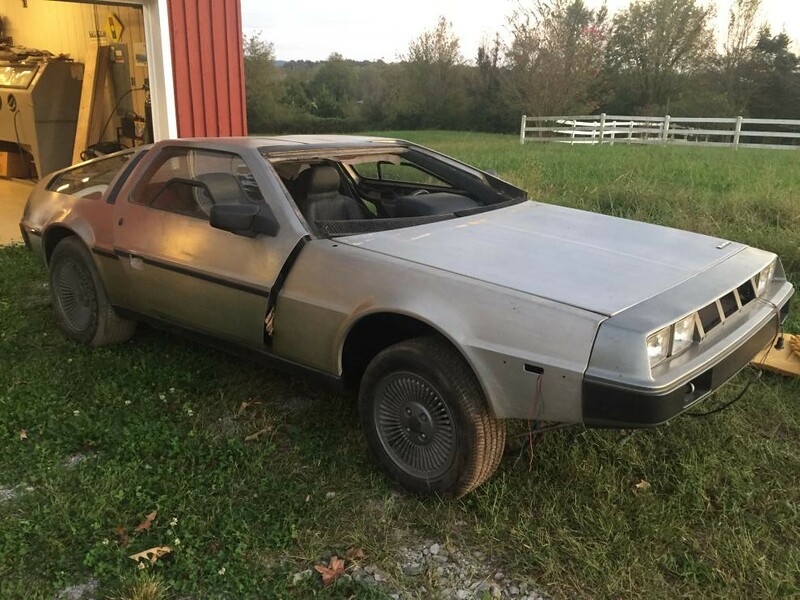 This car has had repairs done to it since the accident, but obviously will need a lot of sheet metal work and front frame repair. I do believe the car is savable. I have not been able to get a wrench on the motor to see if it is free or not (muffler is in the way). The oil is clean and does not look like it mixed with any other fluids. This car also sat in a building since the 80s. 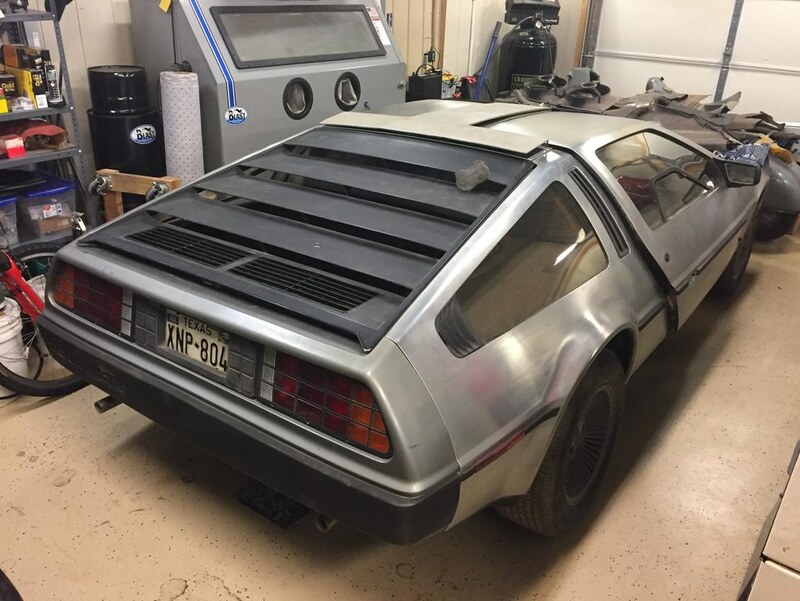 With the cars includes a truck load of interior parts and misc parts from a wrecked Delorean that I also have the Vin tag and title to. I have a lot of pictures of both cars I can send to interested buyers. I suggest seeing the cars in person before purchase to get a full idea of what is for sale. Cars are located in Sparta TN 38583. Asking Price is $19,000 for both cars and all the parts I have. This is not a fire sale or a must sell deal. I simply do not have time to work on these and I do not want to see them sit like they have been. Email or call, please leave a message if no answer. Email is probably best. matt_tylkadmc***@hotmail.com or 931-808-6598.